Can You Fit These Cases In A Class 800 Train? I took this picture at Edinburgh station, after arriving there on an Aberdeen to London train. Could these cases be fitted into a new Class 800 train? I’ve seen surfboards and heavily-loaded bikes being swallowed by a Class 43 locomotive in an InterCity 125. 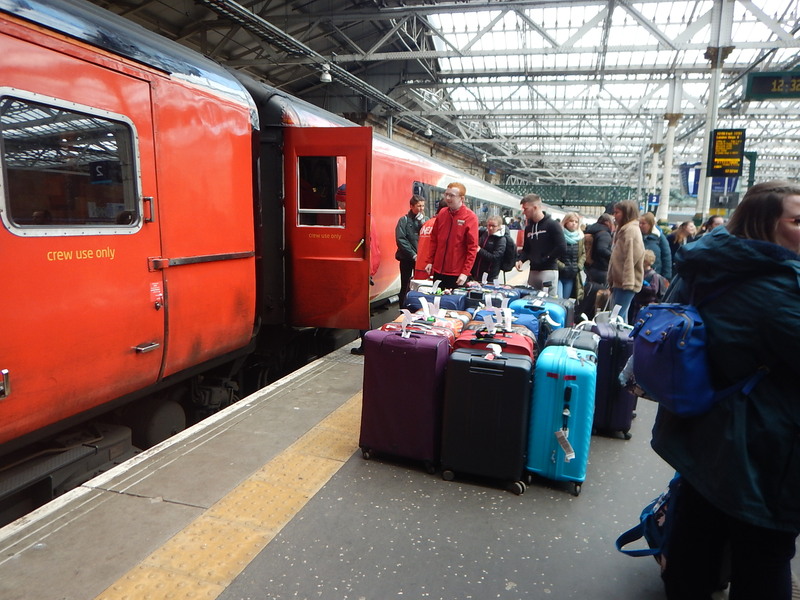 Perhaps, passengers with loads like this, will fly to Edinburgh and then use ScotRail’s Inter7City trains around Scotland.